The Echols Firm, LLC is a proud supporter for the Back the Pack program here in Rock Hill! The team enjoyed another year of helping fill the packs for many Rock Hill area school children. 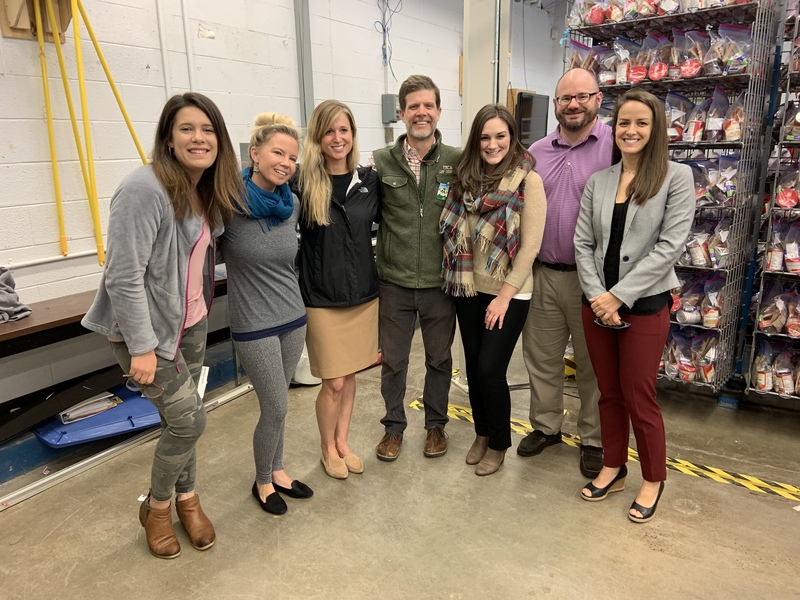 Back the Pack is a charitable program affiliated with the Rock Hill School District Education Foundation which provides children in need with nutritious, nonperishable food. This program feeds around 600 hungry students per week in our community. The Echols Firm, LLC will continue to support causes which strengthen our local community and offer help to those in need. 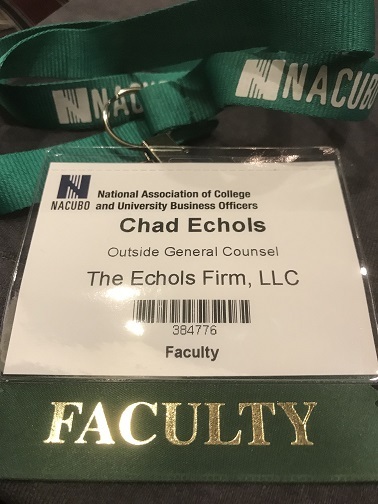 Chad Echols was excited to support NACUBO again this year by speaking at their conference in New Orleans. 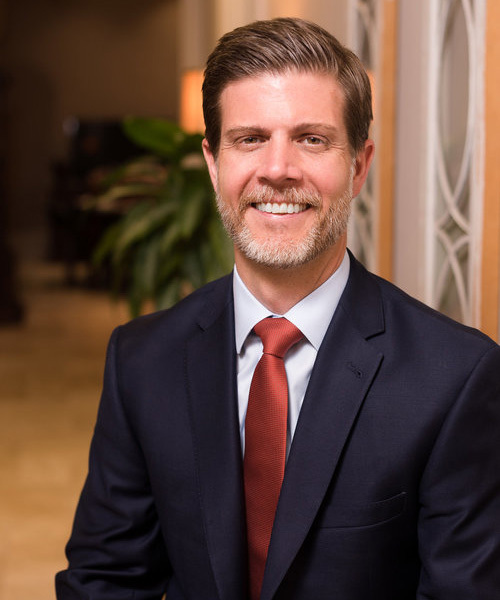 He presented the most recent updates regarding bankruptcy and student agreements, along with the most recent hot topics in the industry. 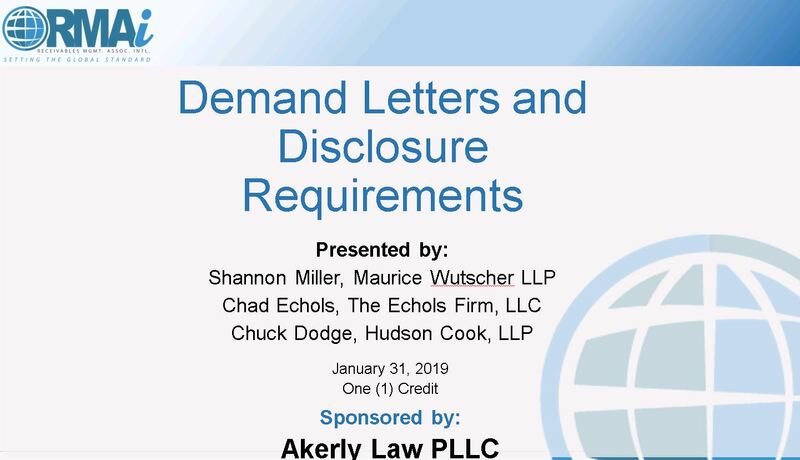 Chad Echols was excited to support Receivables Management Association International by speaking in their 2019 webinar regarding demand letters and disclosure requirements. Many collection agencies have recently seen an uptick in litigation related to the wording included in their letters regarding interest. It is important to carefully review the law as it continues to rapidly develop since the consumer bar is aggressively filing suit in this arena. Courts do not require the exact use of this particular disclaimer, but its use provides protection to the entity utilizing it for the “amount of debt” provision. that a debt collector will not be subject to liability under Section 1692e for failing to disclose that the consumer’s balance may increase due to the interest and fees if the collection notice either accurately informs the consumer that the amount of the debt stated in the letter will increase over time, or clearly states that the holder of the debt will accept payment of the amount set forth in full satisfaction of the debt if payment is made by a specified date. The consumer bar is now pushing the envelope on this topic. They are bringing lawsuits based upon letters sent to debtors that include the safe-harbor language when interest is not actually accruing on the account. The attorneys theorize that the safe-harbor language leads the least sophisticated consumer to believe the account will accrue interest when, in fact, it will not. The consumer bar’s position is the alleged misstatement is made in an attempt to elicit payment from the consumer. 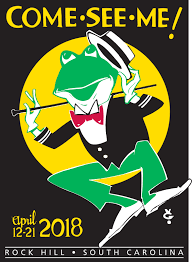 The consumer bar is also taking issue with collectors itemizing “collection costs”, “interest”, and “fees” if the account is not actually accruing costs, interest, or fees. Several courts recently provided rulings in favor of the collection industry. See Bryant v. Aargon Collection Agency, Inc., No. 17-cv-144096, 2017 WL 2955532 (S.D. Fla. June 30, 2017) and Jones v. Professional Finance Company, Inc., No. 17-cv-61435, 2017 WL 6033547 (S.D. Fla. Dec. 4, 2017). The Jones Court stated, in no uncertain terms, that the least sophisticated consumer would not be deceived by the letter at issue when the letter does not falsely state that there are fees associated with the debt; rather, the letter specifically shows no fees are associated with the debt. The Court cleverly pointed out that “the ordinary meaning of 0.00” is “none, zilch, nada.” Id. at *2. The clearest compliance rule related to letters is to make sure every statement and every word is factually accurate for the specific consumer receiving a letter. While this is operationally difficult, it is not enough for your collection letters to apply to most of the consumers you contact. If you need additional information on this issue, please contact the firm.